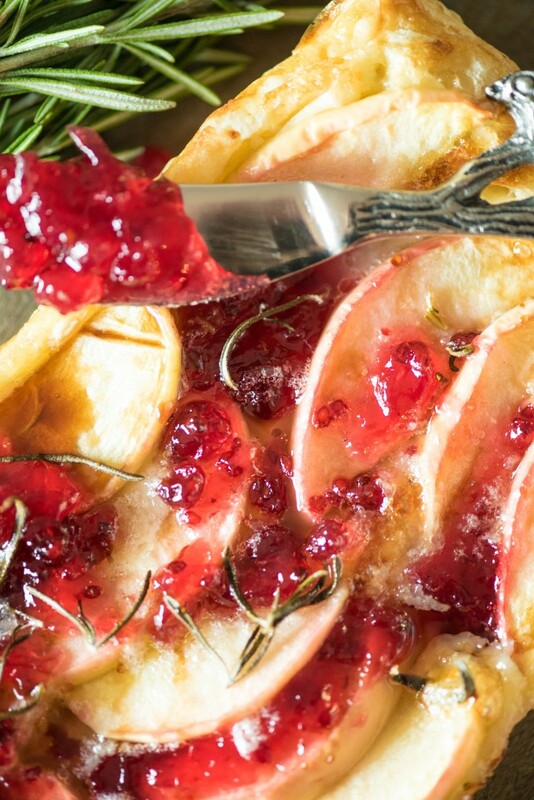 The holidays are coming, and this Red Currant Apple Brie Puff Pastry Tart is enhanced with the flavors of rosemary and balsamic, for an easy appetizer perfect for cocktail parties and before holiday dinners. 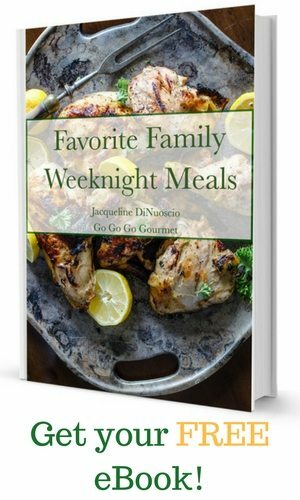 When it comes to the holidays, you can’t ever have enough easy, yet stunningly delicious, recipes in your back pocket. Right? Well, this is every bit of that, and so much more. You can honestly assemble this in under ten minutes, including the cutting and chopping involved. 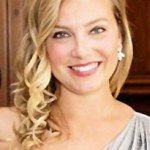 I am happy to be partnering with Hero Fruit Spreads on this recipe. 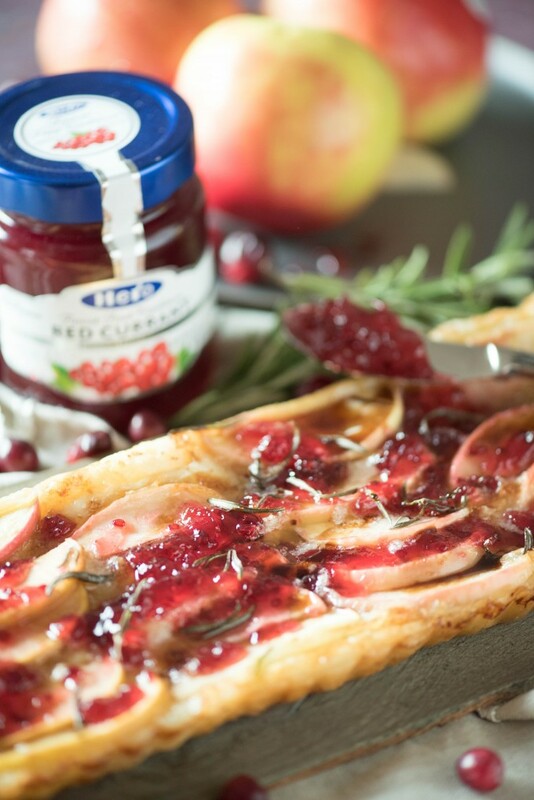 Founded in Switzerland 1886, their fruit spreads are a favorite of chefs and serious cooks around the world. The fruit content in their offerings gives their spreads a smoother texture and more robust flavor than the others out there on the grocery shelf. I had the opportunity to sample their full line of fruit spreads, and I can attest to the fact that their Strawberry preserves make an excellent PB&J Sandwich (yes, I prefer strawberry over grape on my peanut butter sandwiches, don’t even get me started!) and the Black Cherry is phenomenal on top of cheesecake. You can really tell the exceptional quality in these; the pure fruit flavor is wonderful- and so much healthier for you. There’s just something about an all-natural product- it really lets Mother Nature shine through. 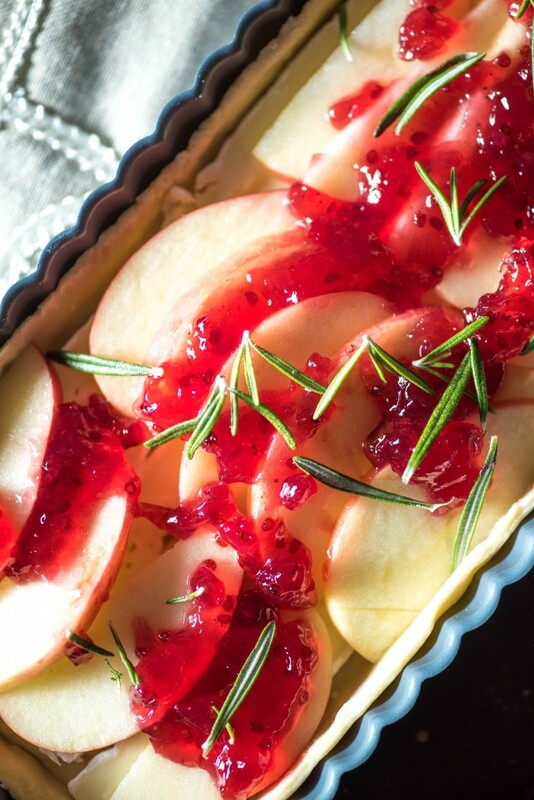 Once I tried the red currant fruit spread, I dreamed up this dish in an instant- the tartness of the red currants went so well with the sweet crispness of a fresh fall apple and the mild creaminess of brie, with savory notes from fresh rosemary and balsamic vinegar, just to give a little earthiness to the classic combination. My original intention was to do these all in small, individual, beautiful pastries. I really thought this would work. I should know better than anyone (I once caught my oven on fire) that cut Brie runs everywhere. Let’s just say that the first sheet of pastries were not successful. I thought about how best to achieve what i was going for, which was a flaky, golden butter tart shell filled with all the best stuff. I decided to try fitting the puff pastry into a tart pan with a removable bottom and lo! It worked beautifully and all the cheese was nicely contained. (get one here). Although I opted for red currant in keeping with the season’s flavors, you can definitely use any of Hero’s other flavors- blackberry, raspberry, blueberry, black cherry, strawberry, apricot and bitter orange- depending on the season and your current mood. You can find Hero Fruit Spreads in the jam aisle of your local supermarket, like Shop Rite, Stop& Shop, ACME, King Kullen, Key Food, Kings, Balducci’s, Fairway, Shaw’s, Market Basket,Price Chopper, Ralph’s, HEB, Harris Teeter and Giant Eagle, and find tons of other recipes here. 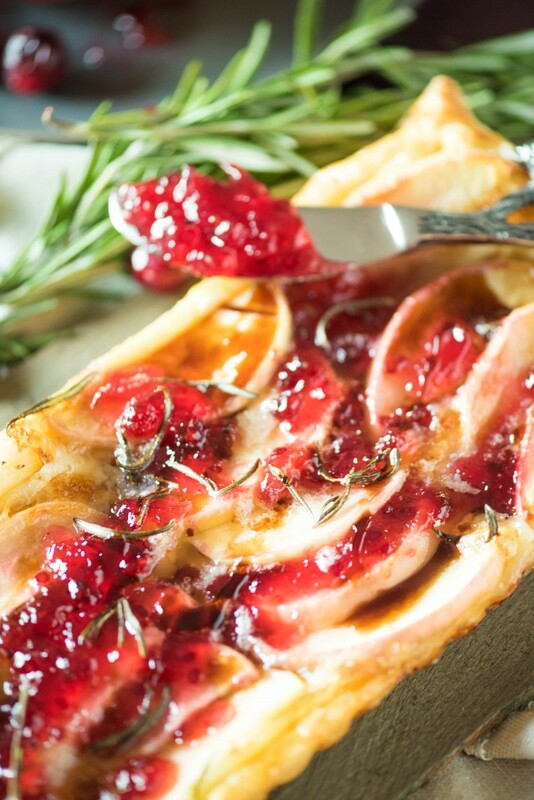 I’ll be making this for a pre-Thanksgiving dinner snack next week, and can see myself making this as a perfect wine and champagne pairing through the Christmas season and into New Year’s Eve. I know that I will “Spread the Goodness” this holiday season, what will you make?! Take one sheet of puff pastry and roll out to a rectangle of 15" x 11". Cut in half lengthwise so you have two rectangles that are 15" by 5.5". Take one tart pan and lay your pastry dough in the pan, fitting it in as best you can- it does not have to fit perfectly. 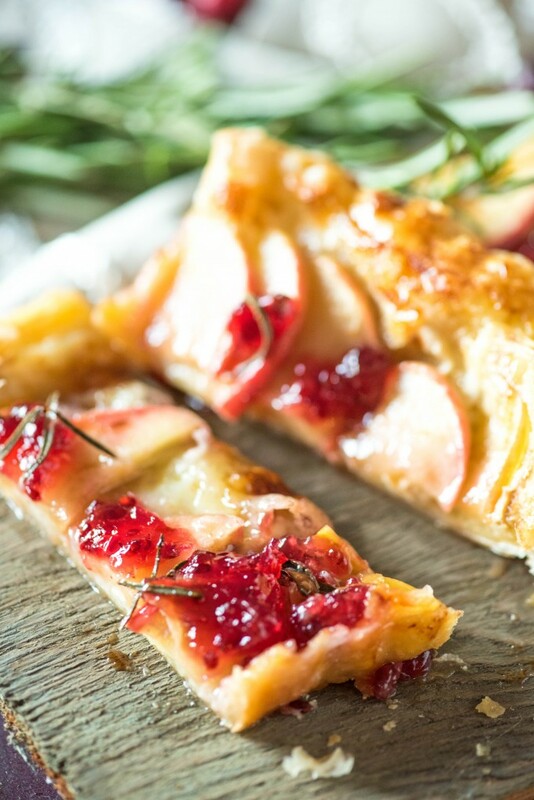 Lay half the slices of brie in the bottom of the pastry, then top with apples, slightly overlapping the slices. Top with small dollops of the jam, equaling 1/4 cup. Strip the leaves from one spring of rosemary. Using a pastry brush, gently brush the edges of the pastry with the egg. Repeat with the second pastry dough and a second pan.Bake in preheated oven for 25-30 minutes, until puffed and golden brown. Remove from the oven and allow to cool for 5 minutes. Remove from pan, drizzle with balsamic glaze, and serve immediately. Do you remove the rind from the brie after slicing?